You are invited to come out to the wild edges of the Seattle-area for a Wild Church service. Modeled after Britain's Forest Church movement, this new (and yet ancient) wave of "doing church" is based on being outside and re-discovering the Sacred that is imminent and present in and all around us in the natural world. Cultivate a deeper connection with nature and your own wild wholeness through prayer, wanders and the wisdom of sacred narratives. Renew your sense of kinship and community with one another, the wild earth, and the great mystery we call God. Through nature-based practices that draw upon the wisdom of sacred narratives and older traditions, we will cultivate a deeper connection with nature and our own wild wholeness. Take a step across the threshold toward a culturally creative vision for life. Renew your sense of hope and courage to face our current spiritual and ecological crises together, rooted in kinship and community with one another, the wild earth, and the great mystery we call God. Join Eco-theologian Mary DeJong, M.A. (Waymarkers) and Wild Soul Guide Rev. Matt Syrdal, M.Div. (WilderSoul) in a few hours of creative communion with the natural world where we will rewild our wonder and worship! We will convene our gathering at 10:00am in the meadow due north of the Rattlesnake Mountain Discovery Pass Parking Lot. After an opening liturgy we will make our way into the woods for guided meditation practices, creative personal responses, and group ceremony. We will hike into the Rattlesnake Mountain Trail system for approximately one mile on somewhat uneven trail terrain with a gradual uphill elevation gain. Guided reflections and meditations will be provided within this wooded context. We will close with a sack-lunch meal together back at the meadow. Waymarkers and WilderSoul are both affiliates of the Wild Church Network. The park is located off Exit 27 when heading east on I-90 and has lots of parking and convenient restrooms. Please note the Snoqualmie Point Park lower parking lot has free two-hour parking. The upper parking lot requires a Discover Pass because it is the trailhead to the Rattlesnake Mountain Trail. We recommend parking in the Discover Pass lot as this service will last approximately three hours. This is a great summer service offering for regularly gathering faith communities, churches, small groups, outdoor ministries, and those who are desiring the Sacred outside of conventional gathering spaces. Please share with your friends and networks! Rev. Matthew Syrdal M.Div, is the Associate Pastor for Spiritual Formation at Grace Presbyterian Church in Highlands Ranch, Colorado, founder and lead guide of WilderSoul and Church of Lost Walls. Matt is a speaker, artist and writer who has offered workshops at APCE in Chicago and Orlando and retreats in the front range mountains of Colorado. 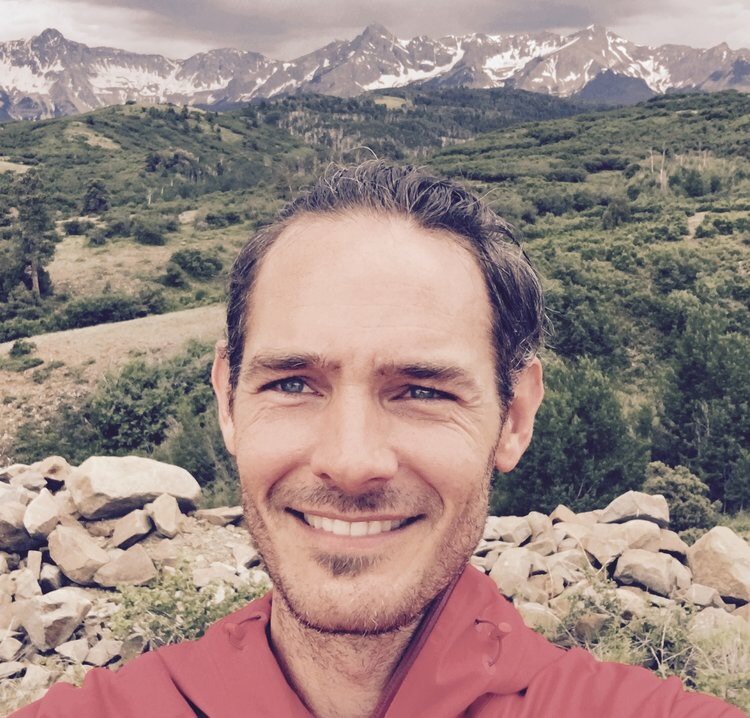 Matt has studied ancient Christian Rites of Initiation, has studied World Religions, anthropology and rites-of-passage, and is completing training through Animas Valley Institute as a nature-based human development guide. Matt has spent several years developing Celtic and indigenous Christian practices oriented towards nature-based leadership, liturgy, retreats, and group immersions, for the cultivation of greater wholeness, and deepening soul work for greater service to the world. Mary DeJong, M.A. is the founder of Waymarkers. She lives in Seattle, Washington's Rainier Valley in Columbia City. As a long-time urban naturalist, and practitioner and guide of place-based pilgrimage, DeJong received her Masters in Theology & Culture from The Seattle School of Theology & Psychology and earned her certification from Yale’s Divinity School and School of Forestry, overseen by Mary Evelyn Tucker, John Grim, and Brian Swimme. Her academic focus within ecotheology and specialization in Thomas Berry's Universe Story delves into why place matters and the sacramentality of creation.